Rajat Dey and wife Anindita Pal Dey in file photographs. Kolkata: Even after having been arrested on charges of killing her husband and destroying evidence, Calcutta High Court lawyer Rajat Dey’s widow is giving police a tough time! 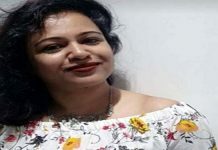 Anindita Pal Dey, the widow is now in eight-day custody of New Town police station after she was arrested late on Saturday and was produced in Barsat court yesterday. Police sources today said that Anindita is trying to mislead the investigators by giving contradictory statements as to the sequence of events on the night of 25 November when Rajat was found dead in his New Town DB Block flat. She has so far told the investigators that the flat where they lived was actually gifted by her father. 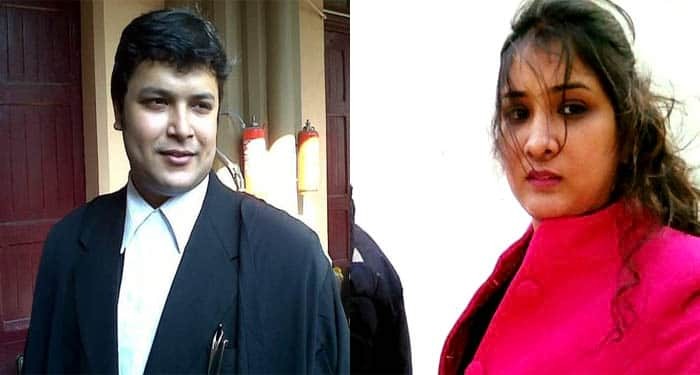 Ever since the birth of their daughter, Rajat was not attending court regularly and of late, he was also stopping her from practice. Rajat even used to torture her physically over this. On the fateful night, a fight broke out between them and Rajat allegedly tied a mobile charger chord around his neck and started threatening to commit suicide. “She is claiming that she did not stop Rajat in the attempt. But then the valid question arises why she concealed this information until the post-mortem report revealed that there was a fine mark on Rajat’s neck? Besides, she is not revealing as to why Rajat was trying to stop her from practising?” said a police source. Investigators have also so far failed to find out from her as to why the flat was in a devastated state that night and why did she send her child and pet dog to her parents’ house in advance. The officer added that Anindita is trying to pass it on as a suicide in a fit of rage and her only crime limiting to not stopping him and reporting the matter to police in time. 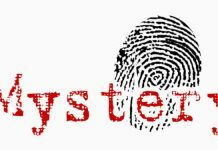 But the investigators strongly suspect that there was a third person present in the flat that night and, the widow, who herself is a lawyer, is being interrogated on that line. Police, in the meantime, are examining her laptop data and mobile call list to crack the case that has created a sensation in Kolkata in the recent memory.